Since we launched Block Storage Volumes in 2016, we noticed users searching for our tutorials on partitioning and formatting storage devices and volumes in Linux. At the same time, some users were accidentally formatting already pre-formatted volumes due to the manual process involved in setting up. This was a cue for us to reduce the friction in the user experience and allow users to simply click to add storage to their Droplets. For example, when you attach a thumb drive to your computer it just works and is ready for use instantly. 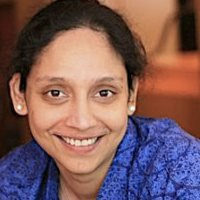 Why should attaching a volume to your Droplet be different? 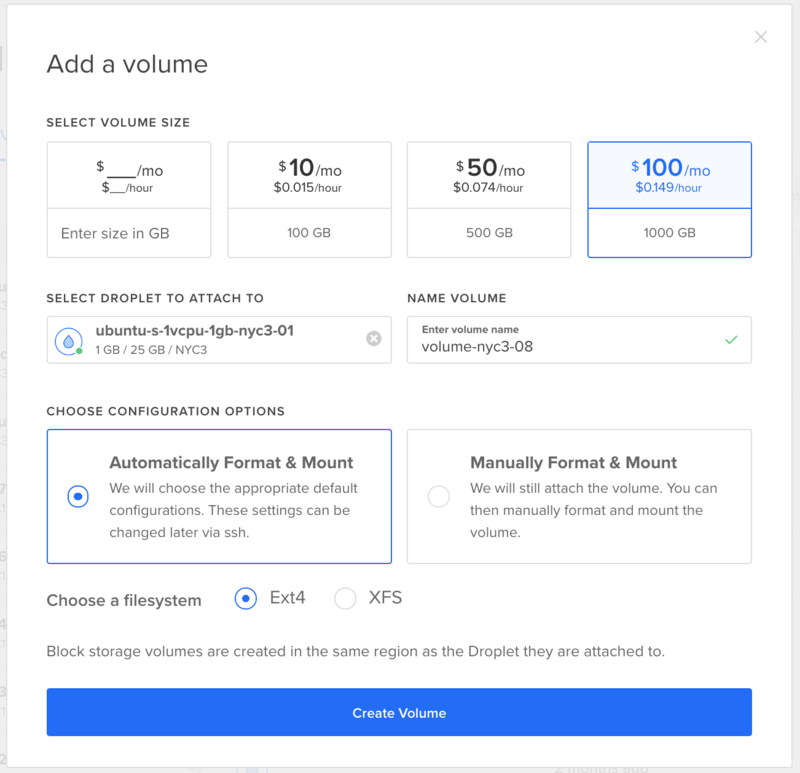 In late May, we launched the “automatically format and mount” feature across all regions that support Block Storage Volumes. With this new feature, we reduce human errors and speed up the process of attaching external storage to your Droplets. 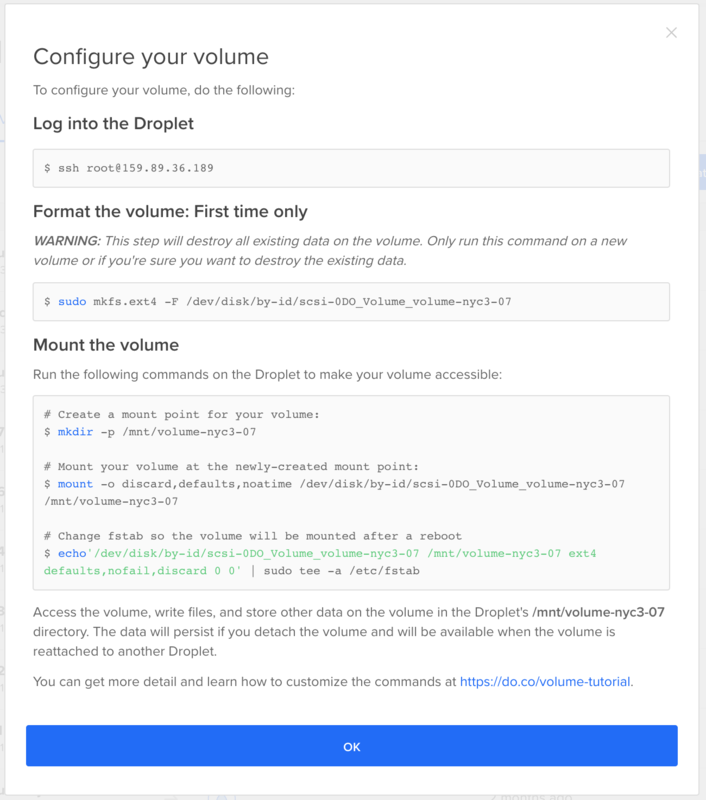 DigitalOcean users can select between two popular Linux filesystems, Ext4 or XFS, for formatting their volumes. To get things going, we provide default mount options and use a default mount point corresponding to your volume name. To customize these mount options, you can SSH into your Droplet and run commands specific to your Linux distribution. If your company or application dictates the use of a specific filesystem that is not currently supported, or you want to control your mount options or name, our in-product instructions are now customized to the operating system version and can be copied and executed as-is. 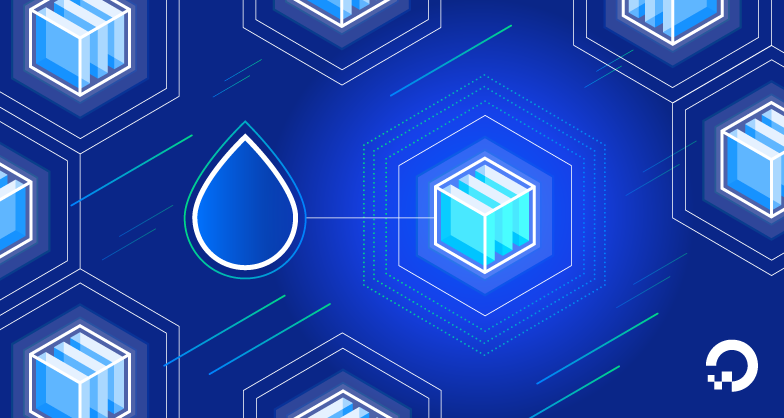 Block Storage Volumes provide the same baseline performance for all sizes, which makes them a great fit for the majority of use cases that require attached storage. (ICYMI, we recently detailed some of the performance improvements we’ve made.) With the new “automatically format and mount” feature, adding high performance block storage becomes a breeze. Ready to try this out? Add a volume to your Droplet now.